Jeffrey E. McGee is an Associate Professor of Management at the University of Texas at Arlington. He holds a Ph.D. in management from the University of Georgia and teaches courses in leadership, strategic management, and entrepreneurship for the UT Arlington MBA program. Dr. McGee also regularly teaches similar courses for the Executive MBA program throughout the world including China, Venezuela, Portugal, Taiwan, Spain, and Portugal. Dr. McGee's primary research interests focus on how effective leadership influences organizational performance. His work has been published in over 30 refereed journals including Management Science, Journal of Business Venturing, Strategic Management Journal, and Journal of Applied Business Research. He has presented over 60 papers at some of the most prestigious academic conferences including the Academy of Management. Dr. McGee has also been cited in the New York Times, Fort Worth Star Telegram, Dallas Morning News, and other news publications. A major thrust of Dr. McGee's research is dedicated to determining the dimensionality, measurement, and performance implications of various leadership personality characteristics such as self-confidence, narcissism, and entrepreneurial alertness. His refinement of the entrepreneurial self-efficacy scale, which appeared in Entrepreneurship: Theory and Practice, is one of the most widely adopted measures of this critical determinant of leadership effectiveness. He has also developed techniques for enhancing this particular leadership characteristic and is frequently invited to organizations in order to share his novel learning techniques. Some of Dr. McGee's most current research is featured in a forthcoming issue of Journal of Product and Innovation Management. He and his research team examined how performance is influenced by an organization's orientation, attention, control, leadership vision, experience, and collective efficacy. Findings demonstrate that vision and collective efficacy are related to organizational outcomes. Collectively, the results imply that specific leadership team characteristics and corporate characteristics must be tailored to improve chances of meeting specific performance targets and achieving overall organization success. The results of Dr. McGee's most current research will appear in a forthcoming issue of Journal of Managerial Issues. This article offers insights into how certain leadership characteristics, namely entrepreneurial alertness, can influence an executive's interpretation of environmental opportunities and threats. 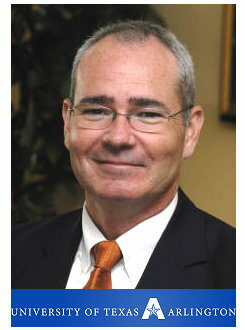 Dr. McGee served as the Chair for the Department of Management at UT Arlington from 2001 through 2010. He regularly consults with some of the leading organizations in the Dallas-Fort Worth Metroplex on a variety of management-related issues. 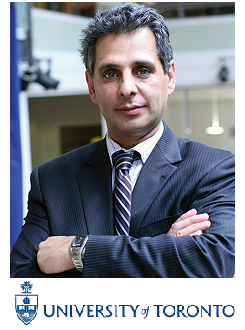 Walid Hejazi is a Professor of Business Economics, and Academic Director, at the Rotman School of Management where he regularly teaches Canada’s current and future business leaders in the MBA, EMBA, and custom Executive programs. He has published extensively in many business journals and in general interest publications, including Business Barbados and the Banker Magazine, and is a regular commentator in the media on important business and economic issues. He wrote an important report that documents the benefits to Canada when Canadian businesses use Offshore Financial Centres as a conduit into the global economy. Walid has consulted for several branches of the Canadian and foreign governments and has appeared five times before House of Commons parliamentary committees on topics related to Canadian competitiveness, foreign investment, competition in the Canadian economy, and international tax structures. Walid has taught extensively around the world, and has been coming to Cayman Islands for more than six years to teach. 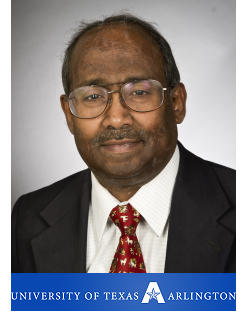 Professor Abdul A. Rasheed is Professor of Strategic Management and International Business at the University of Texas at Arlington where he has been teaching for the last 25 years. He is currently serving as the Chair of the Department of Management. He obtained his PhD from the University of Pittsburgh in 1988 and his MBA from the Indian Institute of Management, Calcutta in 1981. Professor Rasheed’s areas of research interest include strategic decision processes, environmental analysis, outsourcing, franchising, foreign market entry, international comparisons in strategy and governance, corporate disclosure, and corporate restructuring. Dr. Rasheed’s research has appeared in journals such as Academy of Management Review, Strategic Management Journal, Journal of Management, Journal of International Business Studies, Journal of Management Studies, Strategic Organization, British Journal of Management, Journal of Business Ethics, Journal of Small Business Management, Journal of Business Research, Management International Review, Academy of Management Executive, and International Business Review. He has also contributed chapters to several books in the strategy and international business areas and recently published “The Convergence of Corporate governance: Promise and Prospects.” (Palgrave MacMillan 2012). Professor Rasheed’s primary areas of teaching interests are strategic management and international business. He has taught at undergraduate, masters, and PhD levels and has chaired several dissertations. Professor Rasheed also has considerable experience in teaching abroad. He served as a Visiting Senior Fellow at the Nanyang Technological University in 1998-1999. He has taught in the DBA program of Hong Kong Polytechnic University. 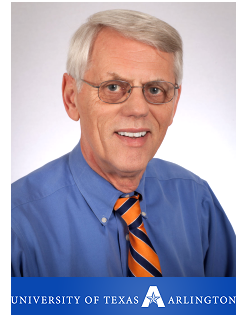 He has also taught in UTA’s Executive MBA Programs in China and Taiwan. Prior to joining academics, Dr. Rasheed spent a decade working in senior positions such as Manager, Indian Bank, Finance Executive, Crompton Greaves, Bombay, India, and Executive Assistant to the General Manager, Bank of Bahrain and Kuwait, Bahrain. Professor Rasheed has won several awards for his teaching and research. These include the FAR/Planning Forum Best Paper in Planning (1991), Distinguished Professional Publication Award (1993, 2012), Distinguished Research Publication Award (2004, 2012), Outstanding Undergraduate Teaching Award (2001), Outstanding Graduate Teaching Award (2007), Distinguished and Sustained Record of Research Award (2008), and induction into to UTA’s Academy of Distinguished Teachers (2004). Paul B. Paulus is the Distinguished University Professor in the Department of Psychology at the University of Texas at Arlington. For the past 25 years he has been investigating the factors that influence group creativity. With Bernard Nijstad he edited the first scholarly volume on group creativity, and he has published over 60 papers and chapters on that topic and the related issue of team innovation. He has made numerous invited presentations to groups from the academic, business, engineering, and intelligence communities. In addition to his teaching and research career, he has served as Chair of the Department of Psychology and Dean of the College of Science. He has been a visiting professor at Bar Ilan University, the University of Groningen, the University of Sidney, the University of Pittsburgh, Carnegie Mellon University, and the Uniformed Services University of the Health Sciences. Dr. Weishan joined the UCCI Business Studies faculty in January 2007 as a professor of management and in May 2007 was appointed to the Chair of Business Studies. Since joining UCCI, Dr. Weishan has also worked extensively with the development initiatives for the Civil Service College as well as collaborated with the design of the new UCCI master degree program in human resources management. He continues to teach upper level management courses within the Business Studies Department as well as management classes within the Civil Service College. 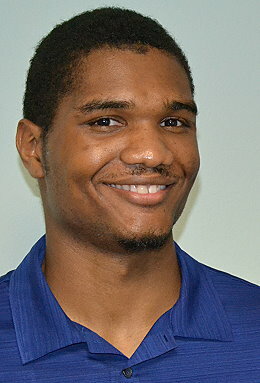 Just prior to joining UCCI, Dr. Weishan worked for three years at the Cayman Islands Department of Tourism as the manager for human capital development. Prior to that, Dr. Weishan was the principle consultant and owner of his own management consulting and training firm in Santiago, Chile; a senior consultant for leadership development & organization effectiveness at CMS Energy Corporation; the State Director for Career Education for the State of Michigan; a Fulbright visiting professor in Mexico; manager of technical assistance to the HEART trust in Jamaica; and an advisor to the Government of the Dominican Republic. Dr. Weishan earned his PhD and two master degrees at the University of Wisconsin. 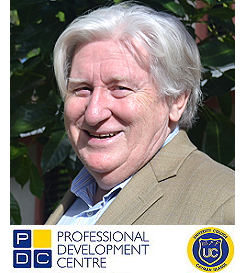 Dr. Gardiner is a seasoned business professor in the Cayman Islands having been on the faculty of AACSB-accredited universities and cited in top peer-reviewed journals in a career spanning over a quarter of a century. She served on the faculty of the University of Southern Mississippi before pursuing her doctorate at one of the highest-ranked universities in the United States, the Terry School of Business at the University of Georgia. During her post-graduate studies, she was acclaimed throughout the state as being the most effective real estate pre-license instructor. She also had a teaching fellowship at her alma mater. She then joined the faculty of the largest finance department in the states at Northeastern University in Boston where she taught and published in top journals in her field and was cited by business trade journals and the Boston Globe. She served as area coordinator (co-chair of the finance department) among other administrative posts there. Dr. Gardiner continued to do small business consulting for a liberal arts teaching college in Kansas City where, in addition to teaching all of the finance and strategic policy courses, she started up a successful MBA program thereby helping turn the college into a university. Along the way, she has taught students at four major universities, two community colleges, and one liberal arts university, yet is proud to say that nowhere as she enjoyed teaching small classes of dedicated and enthusiastic students of finance as much as she does here at UCCI where she teaches Financial Management, Intermediate Financial Management, Investments, Financial Markets & Institutions, Principles of Real Estate, Derivatives, Strategic Policy, Finance for Masters in Human Resources, International Certificate in Investment Management, Introduction to Securities & Investment, Risk in Financial Services, and Wealth Management, among others. She also served on numerous non-profit boards and executive committees including those of a Unitarian Universalist church, charter schools, private lake community, a multicultural education center, local chapter of the Financial Executives International, and the regional office of The American Civil Liberties Union. She has consulted small businesses and has been invited to speak on modern human rights issues as violated by theocracies and various real estate and finance issues. Ginnie’s research interests include real estate issues, business economics, agency theory, financial markets and derivative securities, among others. She holds a lifetime membership in the American Real Estate Society and has published in refereed journals such as The Appraisal Journal, The Journal of Real Estate Research, The Real Estate Educators Association Journal, The Journal of Real Estate Finance and Economics, and various proceedings. Her work has also appeared in numerous newspapers. Dr. Gardiner has served on UCCI’s Curriculum Committee, Accreditation Committee, Environmental & Safety Committee, and the Research & Scholarship Committee. Gardiner coordinates submissions to the “Eye on UCCI” column in The Journal. She was elected to the executive committee of the Cayman Islands Red Cross and to the executive committee of her strata. Gardiner is a volunteer amateur piano player, motorcycle enthusiast, scuba diver and advisor to the backgammon club. 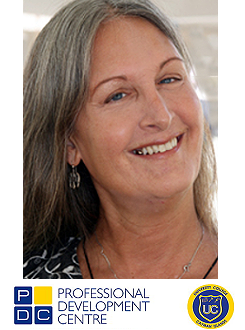 Dr. Mosley-Matchett joined the University College of the Cayman Islands faculty in August 2009, but she is a seasoned educator with ten	years of successful teaching experience at both the graduate and undergraduate levels. Her educational credentials include an MBA (December 1986) and a doctorate in Business Administration (May 1997) from the University of Texas at Arlington; a Juris Doctor (law degree) from Southern Methodist University in Dallas, Texas (August 1984); and a Bachelor of Science in Electrical Engineering Technology from Old Dominion University in Norfolk, Virginia (May 1980). Locally, she has served as the Managing Director of a Caymanian company called Words & Images and as the Marketing Executive for the Cayman Islands Tourism Attraction Board. In the U.S., she was the President of Sterling Impression, Inc. for more than 20 years. Her numerous clients have included the Cayman Islands Portfolio of the Civil Service, the Caymanian Bar Association, IBM, Texas Instruments, and J.C. Penney. Dr. Allan E. Young joined the Business Department as Senior Lecturer at UCCI in 2006. Shortly after joining the team he was promoted to Department Chair of Teacher Education and member of the Faculty of Public Administration with responsibilities for all teacher education programmes as well as the Civil Service College. 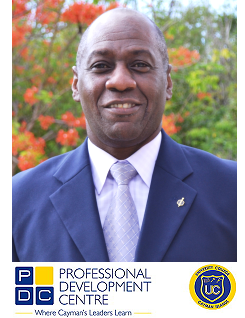 He served as a contributing member in the establishment of the first Civil Service College in the Caribbean and brings a wealth of experience to UCCI including his fifteen years teaching accounting and business related courses at DeVry University. Dr. Young is very keen on using technology to aid learning and has used distance and hybrid platforms to augment his teaching. His current research agenda includes distance learning, blended learning, teacher education, student success, leadership and multicultural issues. 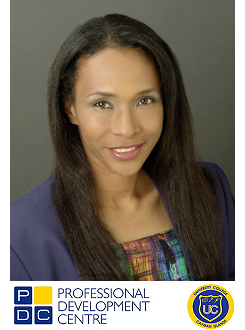 Dr. Young is a member of various professional societies and was 1983 Fulbright Scholar for Jamaica.